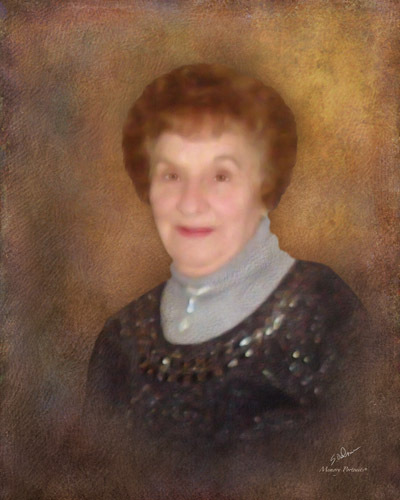 Obituary for Dorothy "Dot" (Jacobs) Saus | Savolskis - Wasik - Glenn Funeral Home, Inc.
Of West Homestead, peacefully passed away on February 11, 2019, with her family by her side, age 93. Beloved wife of the late Frank “Ernie” Saus; loving mother of Gene (Elaine) Saus and Gary (Rosa Valotta) Saus; sister of Tootsie Lally, Mike “Jr.” Granite; proud grandmother of Kim (Mike) Farrah, Jodi (Justin) Martin and Cory Saus; great-grandmother of Morgan and Brooke Farrah; predeceased by her twin brother, Ray and brothers, Johnny, Tommy and Slim. Friends received Savolskis-Wasik-Glenn Funeral Home, Inc., 3501 Main Street, Munhall, Wednesday 2 to 4 and 7 to 9 pm. Funeral Mass Thursday, 11:30 am, St. Maximilian Kolbe Church, Homestead.